EmailMonks – Leading the Pack on Clutch! June 12, 2018 | -by: Kevin George. EmailMonks is pleased to announce our ranking on Clutch, a Washington, D.C. based research, ratings, and reviews site. Currently, EmailMonks has been highlighted as an industry leader in the top Email Marketing Agencies category. Clutch selects their industry leaders through the analysis of both their client reviews, conducted primarily through interview style phone calls, and their own research methodology which collects data on the company’s market presence, work quality, past clients, and ability to deliver. We are glad that Clutch recognized us as a leading agency in their research. They have highlighted our presence as a frontrunner in the Leaders Matrix below. Clutch’s Leaders Matrices map out business service providers based on the firm’s proven ability to deliver and their area of expertise. 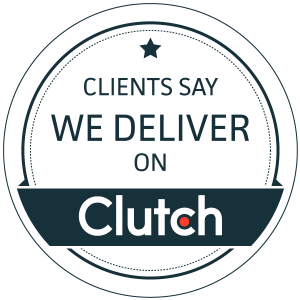 It’s an honor to showcase what our clients are saying about us on Clutch. Currently, we have a perfect 5-star rating (out of 5). Clutch analysts collect ratings for overall performance as well as sub-categories such as the quality of service, cost of the project, scheduling, and the clients’ willingness to refer. We are thrilled with the perfect 5-star ratings for all of these categories on our Clutch profile indicating our clients are happy with our service. While we love this feedback, we believe one of our clients put it best when they answered the question, “Are there any areas for improvement?” with a simple, “None. Their service is perfect.” We are always striving towards that mark of perfection and are very happy with the feedback we have received from our clients so far. Make sure to check out EmailMonks Clutch profile for our full reviews as well. Do you want to experience the magic of EmailMonks services and the coding excellence that has been bringing smiles to our 5000+ customer base across 32 countries worldwide? We have an exclusive limited period offer for you – Your First Order is On Us! Just provide your email design files (PSD/AI/SKETCH…) & let the Monks spell their magic! ZERO COST for your first Order. Wanna experience the expertise of EmailMonks? Share your requirements NOW.